This delightful, alcohol-free alternative to traditional sparkling wine displays a steady bead of tiny, ascending bubbles and a wonderfully fresh, fragrant aroma of green apples and ripe pears with hints of berry and peach. The crisp, fruity flavors, suggesting apple and strawberry, display an admirable balance of refreshing acidity and residual sweetness, and the aftertaste is pleasingly dry and refreshing, inviting a second - and third - glass. 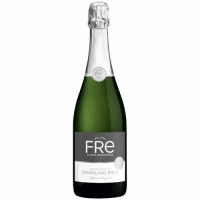 This bright, refreshing sparkler is the ideal choice for any occasion requiring good cheer, good taste and good sense.